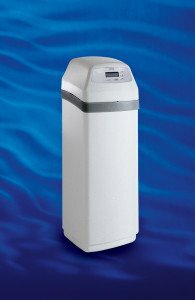 The EcoWater Systems ERR3700R20 is more than a water softener, more than a conditioner and more than a water filter. It’s a water refining system designed specifically for municipal water applications. It will clean, soften, filter and reduce chlorine taste and odor in your water. This comprehensive, state-of-the-art water treatment system features an internal computer that monitors the amount of water you use and prompts system regeneration for actual and predicted future use. Exclusive remote monitoring with Hydrolink® communications technology provides a portable and convenient way to monitor the product performance and water usage in your home.To determine which system is right for you, consider the amount of space you want the system to take, plus the water hardness capacity required in your home. some municipal water supplies as a disinfectant. These chemicals have characteristics of both chlorine and ammonia. The ERRC3502 R50 features Catalytic Coconut-Shell Carbon with a 10 Year Warranty. 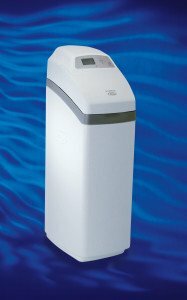 This unit Filters the water throughout the home without compromising water flow. Reduces chloramines, removes chlorine taste and odor, extends resin life and eliminates the need for a separate carbon filter and filter media changes. Sophisticated, yet easy-to-use electronics capture historical usage patterns to predict future needs for precise regenerations. Electronics include two-way HydroLink® communications technology that provides a variety of features including a convenient remote. The HydroLink® Remote Two-way remote technology that makes it possible to control and monitor the Series 3500 Water Refining System® and optional reverse osmosis system from anywhere in the home. 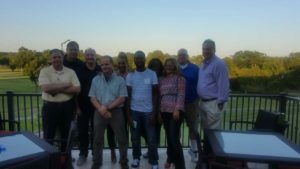 EcoWater Systems has upgraded the Central WaterSystem to include chloramine removal in addition to the current product’s capabilities. The Model ECCWS is based on the ECWS, but contains catalytic carbon media to reduce chloramines, chlorine tastes, odors and sediment. The EcoWater Central Water System provides filtered water throughout your entire home. During the normal operation, the water flows through several filtration processes where sediments, chlorine taste and other contaminants that adversely affect taste and odor are reduced. A clean rinse cycle is automatically initiated based on the amount of water that has been filtered, or after 14 days, whichever comes first. During this cycle, the media bed is rejuvenated, and sediments are flushed down the drain. 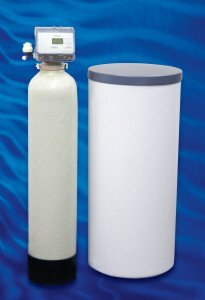 EcoWater Systems is offering a new line of water softeners. These 2-tank units have the same electronic controller and single rotor valves used in the ESD 2502 series softeners. EcoWater’s line of EEC Series Water Softeners are specifically manufactured for individuals or families who prefer high quality and efficient water treatment products backed by the knowledge and experience of Ecowater Systems. Featuring Demand Control Electronics, which provides a power back-up to maintain the clock during a power outage. The Super Cap Time Keeper maintains time for at least 6 hours in case of power loss, and the unit recharges itself when the power is restored. It’s Self Cleaning Distributors exhibit excellent flow rates and are cleaned automatically by counter-current water pressure.